It’s important to understand your body inside and out – how your internal organs work, and what to expect if they aren’t. Last time in our ongoing series on getting to know your body, we talked about your thyroid and before that your endocrine system. Today, we’re discussing your kidneys, or your body’s efficient blood filtration system. When your kidneys are healthy and functioning as they should, your entire body feels the benefits. This means if your kidneys are not at full health your body accumulates toxins and waste, which in turn affects how your body functions. Most of us know the kidneys are a pair of fist-sized organs, located at the base of the spine. But what do they actually do, and how do you ensure your kidneys are as healthy as possible? Let’s look at how your kidneys function, so we can delve into the natural ways you can care for them. Your kidneys are crucial for every system of your body because their job is to filter blood. When blood enters the kidney, it removes waste and adjusts salt and electrolyte levels. Some of the waste products removed during this process include particles left behind by digestion, extra fluids, and other various things you don’t want lingering in your blood. The waste removed by your kidneys becomes urine, and the cleansed blood flows back into the rest of your body. Each kidney contains around a million small filters, called nephrons, which work to clean and balance your blood. 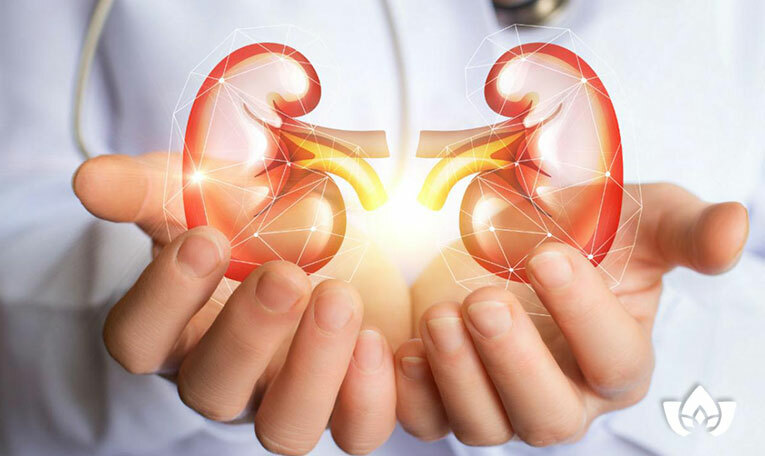 When your kidneys are healthy and functioning properly, they are contributing to a balanced blood pressure, regulated hormone levels, and a strong musculoskeletal system. There are a number of unfortunately common conditions that affect the kidneys. Because your kidneys’ job is to filter your blood of toxic waste, they serve an absolutely crucial role in making sure your body functions properly, or at all. Kidney failure is an extremely serious condition that happens when your kidneys stop working enough to keep your body alive. The 2 leading causes are type 2 diabetes and high blood pressure. If your kidneys suddenly stop working, this is known as acute kidney injury or acute renal kidney failure. Unfortunately, there is no “cure” for a failed kidney – there is only continuing treatment. As mentioned above, kidney failure is an incredibly serious condition and can be fatal. If you feel any of the below symptoms, go to the nearest emergency room immediately. • Mood and mental changes: Problems with cognition, including “brain fog”, confusion, anxiety, and trouble sleeping, may occur. This is due to dehydration and an imbalance of electrolytes. Again, if you’re experiencing these symptoms, visit the emergency room as soon as possible. Ensuring your kidneys are healthy should be a priority, considering how important they are for your overall health. Thankfully, there are all-natural ways that you can take care of your kidneys. Eating a healthy diet is absolutely necessary for preventing and managing kidney issues. A naturopath or dietician can help you determine which foods are best for your lifestyle, and your kidneys. Typically, a kidney-friendly diet includes nutrient-dense unprocessed foods high in electrolytes. It also doesn’t require much restriction – there are tons of tasty foods that are great for your kidney health such as blueberries, cherries, cranberries, celery, leafy greens, beets, and various fruits such as bananas, lemons, and avocados. An important piece of the puzzle is making sure you’re drinking enough water. Dehydration can increase the risk of kidney problems and complications, especially if you exercise often, sweat often, or drink diuretic beverages such as coffee or tea. It’s also recommended that those with kidney issues should limit sodium, potassium, and phosphorus intake, as well as dairy and protein-heavy foods. There are some nutrients that are vital for your kidney health. One of these nutrients is magnesium, as proven by this 2016 study. The above study shows how magnesium supplementation results in a variety of positive effects in patients with chronic kidney disease. Magnesium supplements reduce phosphate absorption and have a potential positive effect on vascular calcification. Similar to magnesium, treatment with vitamin B6 shows a reduction in one of the minerals that may be impacting your kidneys. This 2018 study shows taking vitamin B6 reduces the urinary excretion of oxalate, which has been proven to be a major risk factor for calcium oxalate kidney stones. Kidney stones are considered to be one of the most painful conditions, and vitamin B6 supplements may help you avoid having to deal with that discomfort with little risk. Vitamin E is an absolutely essential nutrient that features low toxicity, strong antioxidant function, and very rare side effects. It has also been proven to help with acute kidney injury. Vitamin E has shown to play a protective role in your kidney health, and is a primary area of focus for researchers looking at kidney therapy treatments. Lemon and other citrus fruits are great additions to your kidney-friendly diet. That isn’t the only way to incorporate the benefits of this fruit to your life, however. Lemon essential oil supports your kidneys and your liver in the detoxification process, and deters the development of kidney stones. You can put a few drops of lemon or other citrus oil in your water or tea twice daily. Be sure to talk to your naturopath or doctor before consuming essential oils. Another essential oil that can help your kidneys, but this time from the outside of your body, is helichrysum oil. Helichrysum is a member of the sunflower family, and is considered to have powerful healing effects. This essential oil is applied topically, over your lower abdomen – but be sure to dilute all essential oils with a carrier oil or lotion. You can easily put a few drops of helichrysum essential oil in your moisturizer, making it a relaxing part of your daily routine that benefits your kidney health. Your kidneys serve the important purpose of filtering and cleansing your blood, then sending it off to power the rest of your body. 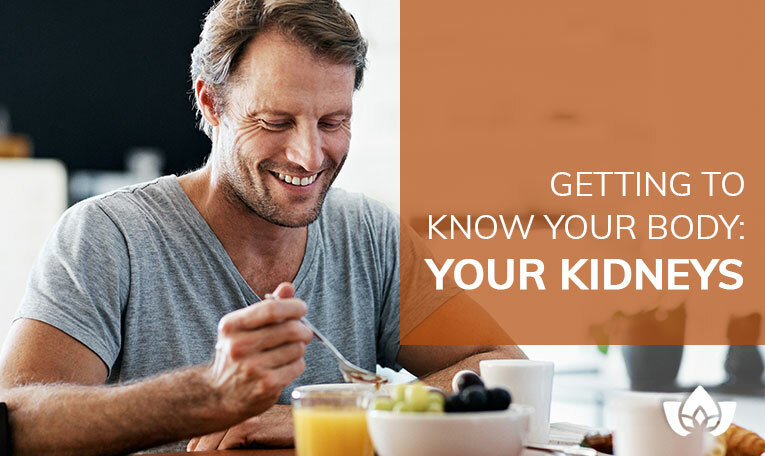 There are steps you can take to ensure your kidneys are functioning at their best and filtering out all the toxins and waste from your blood. For a natural solution to your kidney health, contact The Mindful Healing Clinic. If you’re dealing with a kidney issue or condition, we can help you find natural therapy options to supplement your treatment. Or if you’re looking to prevent future kidney disease and make sure your kidneys are functioning properly, we can work with you to determine how you can strengthen and protect your body from potential illness. Call The Mindful Healing Clinic today for more information – we can help.